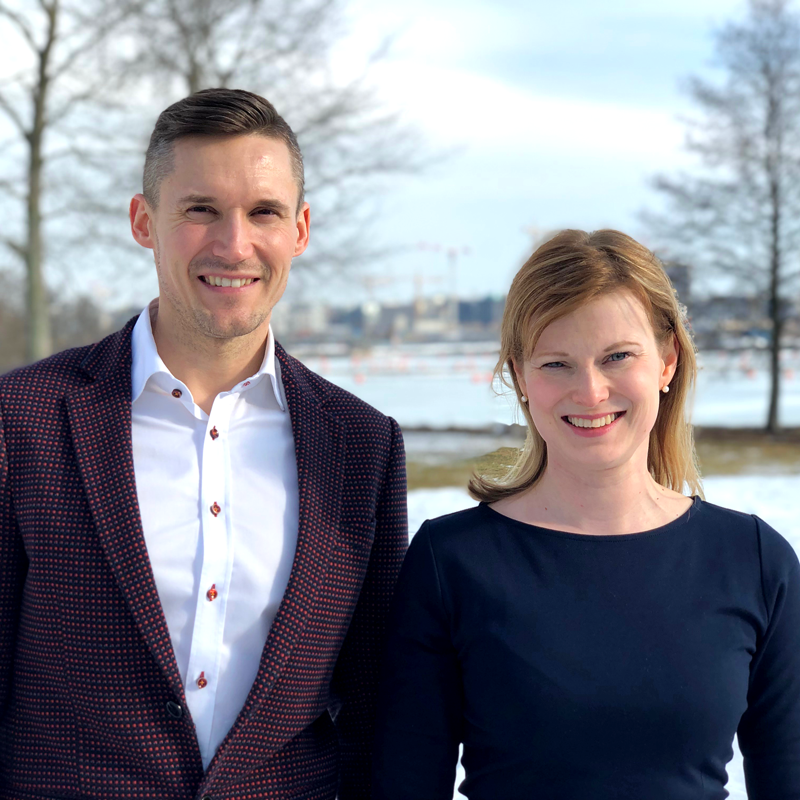 We are delighted to welcome new colleagues to the Nordic Healthcare Group in March: Rikhard Berg has joined us as Pharma Lead and Milja Saarimaa as Communications and Marketing Manager. Rikhard Berg’s background lies in customer-related sales and educational tasks in social and healthcare service production as well as in the pharmaceutical industry. Previously, Rikhard was Customer Relationship Director for public sector partnerships at Pihlajalinna, a company specialised in Finnish social and healthcare service production, focusing on partnerships between the private and public sector. Further, during the last ten years, he has been employed by several pharmaceutical companies engaging him in sales and clinical cooperation, where he has gained experience in the therapeutical fields of respiratory diseases, neurology, cardiology and gastrology. Rikhard’s educational background is in economics and sciences. Rikhard aims to discover new ways to add value by collaborating with customers and, simultaneously, highlighting NHG’s broad expertise and experience in the pharmaceutical industry. He aims to use his experience and expertise to establish long-lasting partnerships in the industry. ”NHG has long offered various services to the pharmaceutical industry, such as analysis, strategy as well as service design. Having Rikhard on our team ensures holistic solutions for our pharma customers and clarifies our service offering: how can we serve them even better. I’m glad that our pharma customers now have their own contact person, who has a background in both customer relations and the pharma industry”, NHG’s CEO Vesa Kämäräinen commented. Milja Saarimaa has over ten years of experience in diverse communications and marketing tasks. Previously, Milja has worked in an internationally operating organisation focusing on intellectual property rights, where she was a Communications Manager responsible for the company’s communications and marketing holistically. From her educational background Milja is a Master of Arts focusing on communications and languages. Milja’s aim is to provide NHG’s customers even better customer experience by offering high-level content and utilising various channels in communications as well as to support the company’s internationalisation and growth. ”NHG is an expert organisation with years of experience in the social and healthcare industry and has participated in numerous nationally significant projects in Finland. As a communications professional Milja ensures that this important work is publicised and helps in communicating our service offering from a customer-centred approach”, Vesa commented.